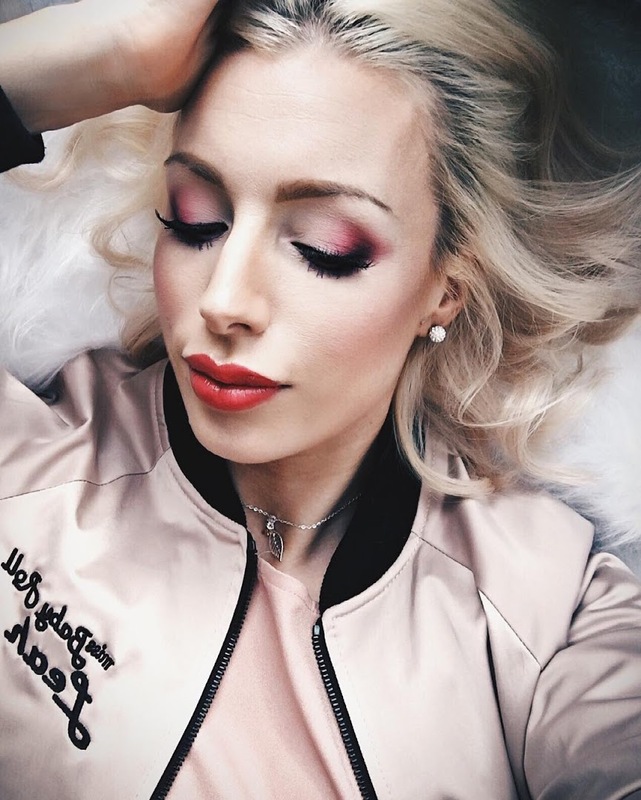 I have such problematic skin that I’m always on the lookout for new skin care to try which can help alleviate any of my skin concerns – including sensitivity, dehydration, oil, redness and large pores. 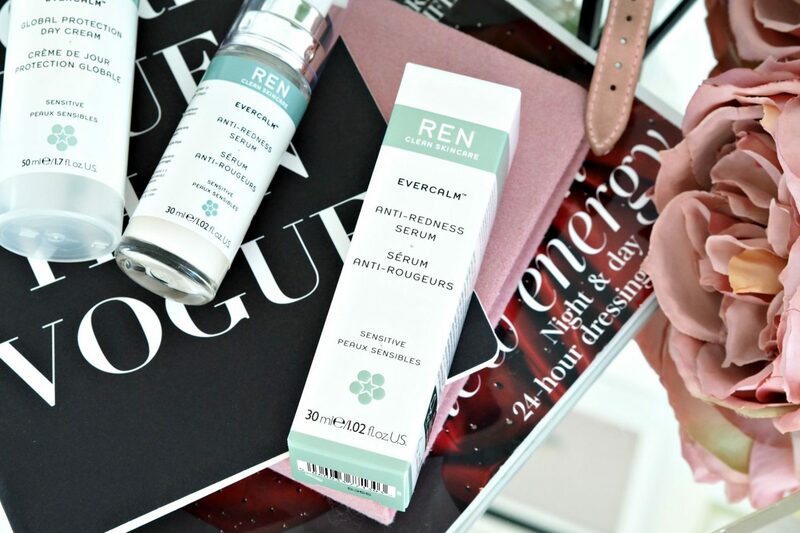 So when I heard about the REN Evercalm Global Protecting Day Cream and the REN Anti-Redness Serum – with promises of reduced redness and increased hydration I was eager to give them both a try. 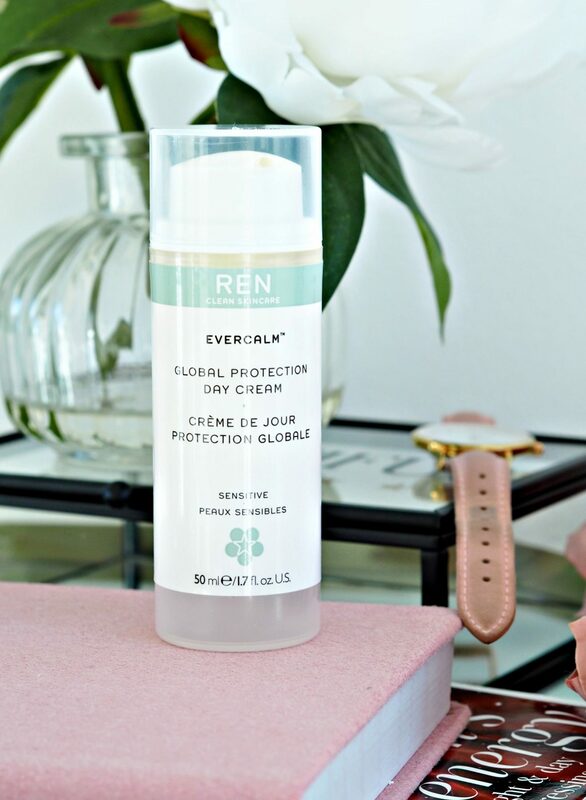 The REN Evercalm Global Protecting Day Cream comes in a plastic container with a pump which is compact and light, so would be perfect for when at home or while travelling. Now this moisturiser goes a very long way… seriously. The container may look small but it will last a long time as less than one pump is enough for my whole face and neck. This day cream is made to be hydrating for sensitive skin and I can confirm it works on both fronts. My skin didn’t react at all while using it and I found it calming and hydrating. Quite often I have to wear oils or serums under moisuristers as they aren’t hydrating enough, but it wasn’t the case with the REN Day Cream and I found I could wear it alone, and my skin still felt supple and plumped. 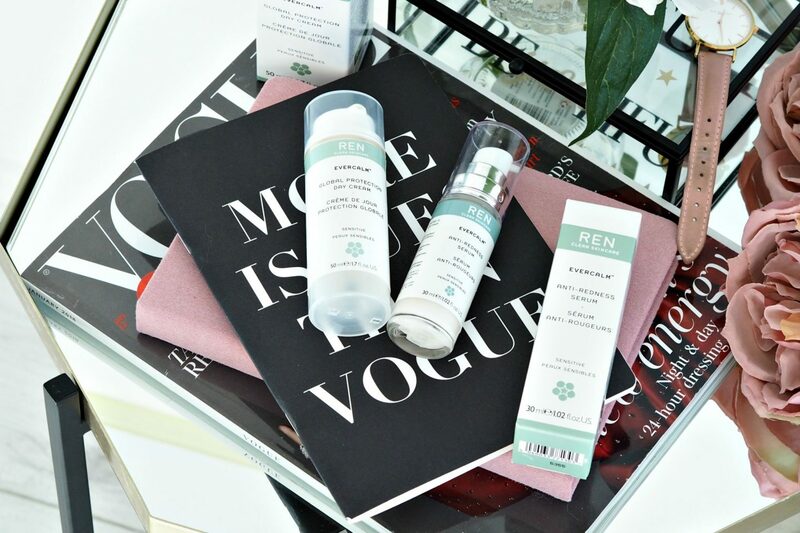 Long term use of the the REN Evercalm Global Protecting Day Cream is also meant to help train your skin to be less sensitive, and I must say I haven’t had any flare ups while using this product so maybe it has helped! The REN Global Protecting Day Cream costs £29 and can be purchased here. The REN Everclam Anti-Redness Serum is a watery gel formula which glides and soaks into the skin quickly. 1-2 pumps is all you need of this serum so again a little goes a long way. After cleansing you apply this serum to your skin before you moisturise to help reduce your skins redness and uneven skin tone. Now, don’t expect this serum to be an instant worker. I found it took about 4 weeks of me using it before I started to notice a difference. Remember it’s a skincare product, not a cosmetic one. It’s healing the skin from the inside, rather than covering anything up, so you have to be patient with this one. As well as reducing inflammation, redness and irritation, the REN Anti-Redness Serum also contains Hyaluronic Acid which is known for its hydraying properties . I’ve noticed a very slight change in my redness. Not loads and I still have my redness but I can see a small change. The Anti-Redness Serum is also meant to train your skin to be less sensitive like the Global Protecting Day Cream, and as I said before my skin hasn’t had any flare ups while using these products so they could well have contributed to that. The REN Anti-Redness Serum costs £29 and can be purchased here. Overall I’ve been very happy with the REN Evercalm range and I can see why it’s their best seller!